This level have normal difficulty and you need to break all jellies using special combos. 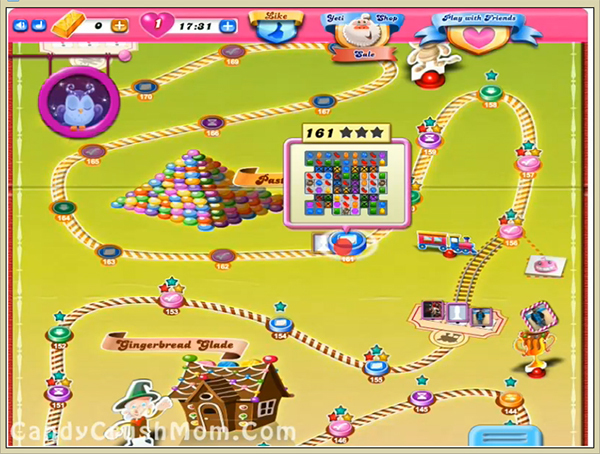 For this level first try to break grills by playing from bottom and after try to make colorbomb or striped candy. You should try to make striped candy plus colorbomb combo to reach requirement within 45 moves. We completed this level with 160560 score using three colorbomb and other special candy within 10 moves that help to reach requirement with three star score.